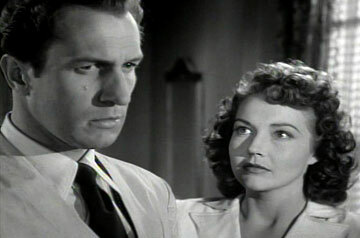 In his first top-billed role, Price plays Dr. Richard Cross, who kills his wife during an argument over an impending divorce. His deed is witnessed from a neighbouring hotel window by Mrs. Janet Stewart (Anabel Shaw). Already in a weakened mental state, she is discovered by her husband the following morning in a catatonic state. As coincidences in film noir would have it, she is treated by Cross himself, who has her committed to his own sanitarium in an effort to convince her that she is truly insane, having only imagined the murder scene. 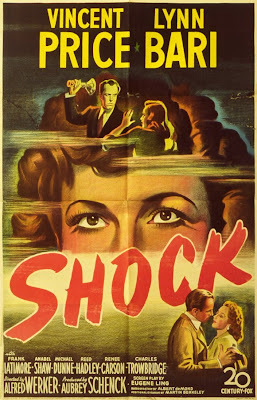 According to the highly enjoyable but typographically challenged book Vincent Price Unmasked (by James Robert Parish and Steven Whitney), Shock received some bad notices upon its initial release for its negative portrayal of psychiatrists! Well, such controversy has receded over the years, but time hasn't been kind to this little film due an early, laughably bad dream sequence early where Janet is hearing the voice of her long-lost husband, and dashes to a giant doorknob (how Freudian): she is clearly seen running on one spot! More interesting is the relationship between Cross and his lover, Nurse Elaine. 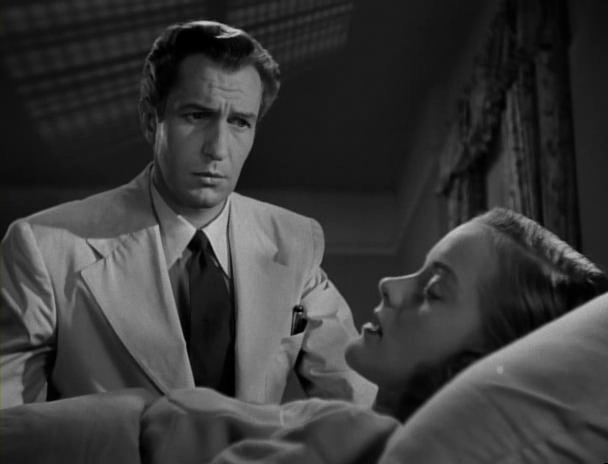 After five decades of roles in which Vincent Price commits many ghastly, vengeful acts onscreen, it is refreshing to see that this lead role features him not as a monster, but rather a remorseful man who nonetheless attempts to cover up his fatal mistake. However, he still has a moral center dictating to what measures he will carry out his deeds: "There is a limit beyond which even I can't go". It quickly becomes clear that Elaine is pulling his strings, convincing him to perform even more insidious things like shock therapy to drive Janet beyond the brink. This modest programmer is also helped along by some moody photography (which I'd perhaps attribute to Joe MacDonald, as the deep blacks are similar to those in My Darling Clementine, released the same year), and some effective mise-en-scene (where it conveniently rains and storms during suspenseful moments). The supporting performances by some familiar players are decent if unspectacular. Anabel Shaw's smallish frame captures the essence of the victimized Janet, although the actress is largely given little to do but hyperventilate and stare slack jawed. Still, it is Vincent Price's movie all the way: his solid performance carries this inoffensive second-feature. 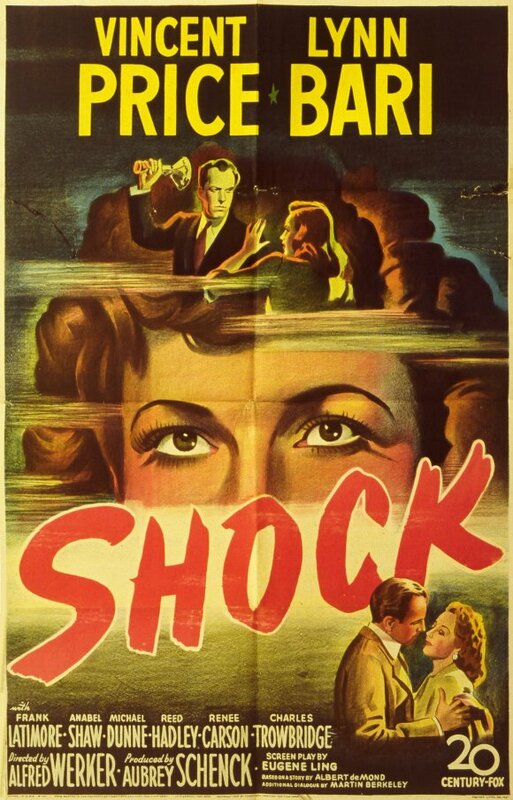 While Shock is a minor time killer, it is however an interesting footnote in his developing screen career- it would be among the few lead roles where he plays a human monster that still has a heart.